When you master Joomla! programming, you can customize websites in ways that simply aren't possible by tweaking parameters or installing someone else's extensions. 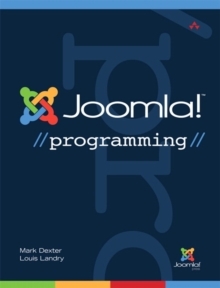 Now, there's an authoritative, "soup-to-nuts" programming guide for every Joomla! user: from beginners with no Joomla! development experience to long-time coders seeking a quick start with Joomla! 's powerful new versions, 1.6, 1.7, and 2.5. Joomla! (TM) Programming presents proven best practices for getting the job done right.